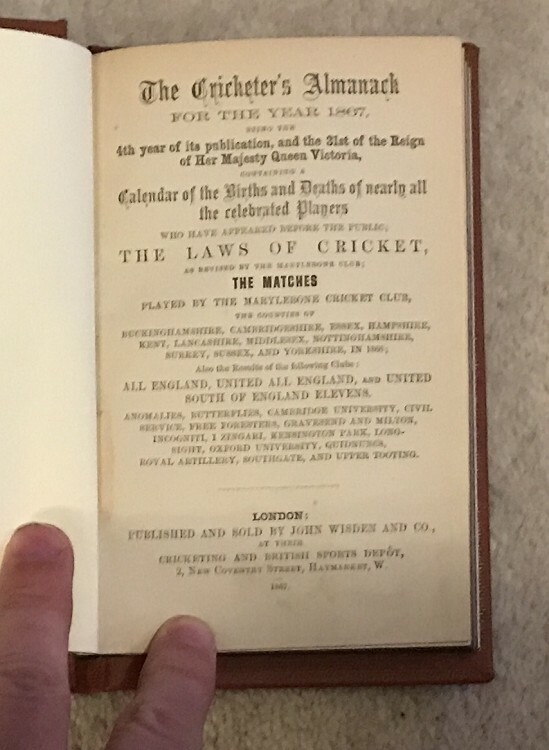 This lot is an 1867 Wisden , an original Wisden Rebound without the covers,. This rebind is in Very Good condition, the fourth edition of Wisden. The is bound in red boards with gilt to the spine, the pages are nice and clean, there is some darkness to the pageblock but other than that it is very nice, no trimming to report as plenty of room between the text and the page edges. A superb book.